Arch Rival, bred and consigned by Summerhill Stud was sold for R320,000 at the 2012 Ready To Run Sale and has earned almost R700,000 in stakes to date. 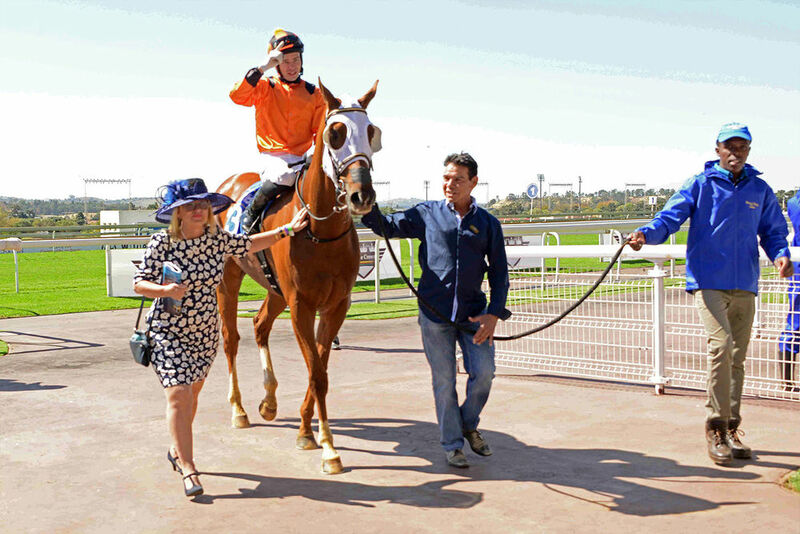 Trained by Geoff Woodruff and owned by Robbie Hill, Messrs NC Smith, DD Hayman, it was the fifth career victory for the five year old gelding who has also placed 13 times from 26 starts. Arch Rival is out of National Emblem mare Competitive Edge, a half-sister to Skeem Team and Star Of The Sea. The damline also includes Italian Gr1 Oaks winner, Nicole Pharly. Competitive Edge has produced two other winners, including Come Dancing and The Edge. Trainer Geoff Woodruff was over the moon at the plan come together and said the race had been targeted six months earlier. “He was a bit under done last time when second in the Caradoc Gold Cup and I knew he would strip fitter here. It worked and I’m thrilled for the owners,” he said. A.P. Arrow is a Gr1 winning son of A.P Indy out of a Mr Prospector mare. He is bred on the same cross that produced the great Pulpit. Well done to the winning connections!